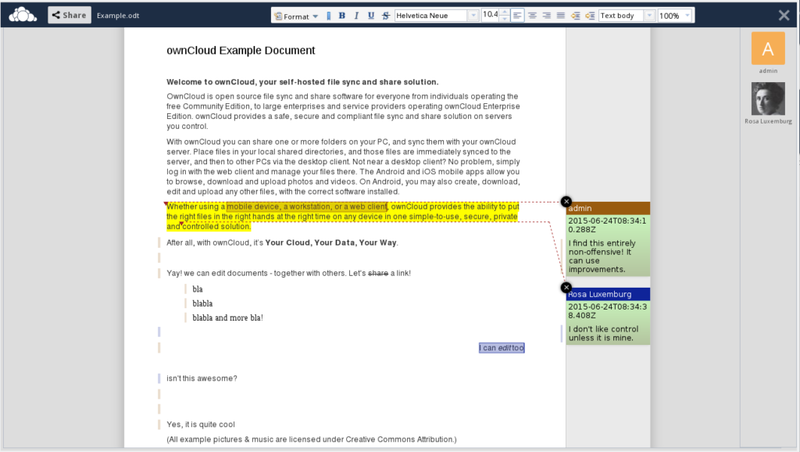 ownCloud 8.1 delivers many improvements to ownCloud, including an update to Documents, the collaborative document editing app. Documents allows ownCloud users to directly edit files stored in the Open Document Format, the first and most widely supported, open document standard, developed by the international standards body OASIS. 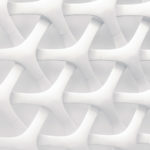 Support for proprietary file formats like the widely used Microsoft Doc(x) files can be optionally provided with automatic server-side conversion through LibreOffice. 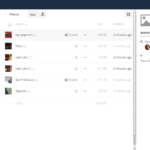 More than mere editing, Documents allows users to edit documents simultaneously with others, sharing the changes real time and allowing collaboration on documents. 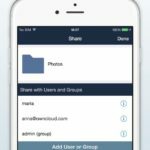 Watch the video below and read on to learn about what’s new and better in Documents for ownCloud Server 8.1! 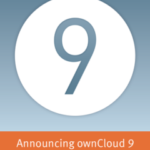 We hope you will enjoy the much improved Documents in ownCloud Server 8.1! You can remove the comments, I’m not sure if you can comment in other comments. The colors are not persistent, they change between sessions and it doesn’t remember who changed what and when. Thanks for the concise answer! To enable real collaboration, would it be possible for users to pick a standard font, typesize and style to differentiate their input? So tat user 1 sets all his text input to appear in bold italics by default, another uses underlined font x etc? I know that this coan be done manually, but that is not practical for review – what I m asking is about approximating a real “review mode”. I’m sure this is of interest for many other users, which is why I am asking here. Thanks in advance! No, this isn’t possible at the moment. You see color differences while working but not afterward, this was never a design goal for the app. It probably would not be terribly hard to add this, though – but that is something which will require development work.